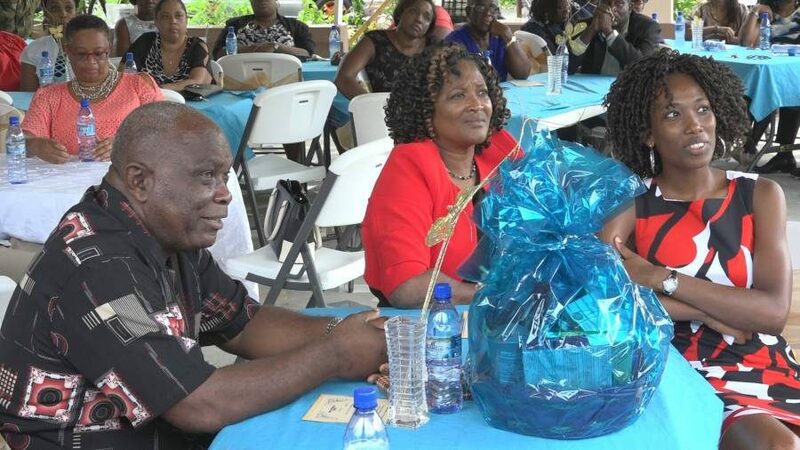 On Sunday, 15 October the Grenada Cooperative League Limited presented its ‘LIFETIME Award’ to Samuel Britton, recently retired General Manager of Grenada Union of Teachers Cooperative Credit Union. The occasion was an impressive and memorable ‘Recognition and Thanksgiving Function’ held at Diamond, St Mark. The event was deliberately fitted into Grenada’s celebration of Credit Union Month, 2017. Several Credit Union leaders paid glowing tribute to Sam Britton as they highlighted the lasting impact of his work in the Credit Union sector and especially during his tenure in office, for 20 years, as General Manager at Teachers’ Credit Union. Teachers’ grew to become the 2nd largest Credit Union in Grenada under Britton’s careful watch, guidance and nurturing. Speaker after speaker referenced Britton’s motto that the member comes first. His capacity to listen and to propose solutions, as well as his spirit for good were identified among the unique qualities of the retired General Manager. Present at the function were Britton’s wife, daughter and some of his closest friends of St Mark.